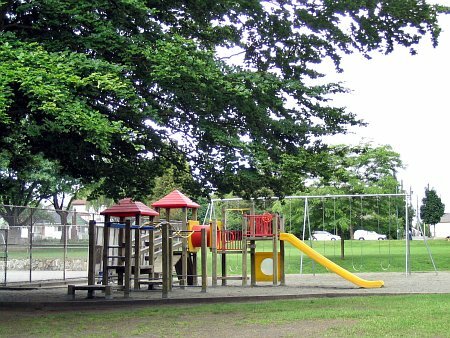 Garden Park is tucked into a quiet but friendly neighbourhood and surrounded by stately street trees. Neighbours of the park enjoy chatting in the shade, sitting on one of the curved seats surrounding the children’s wading pool or playing tennis on the courts. This park space was purchased from P.W. Charleson in 1912 for the sum of $43,050 but was not named until the spring of 1914 when the Grandview Ratepayers Association received Park Board approval to apply the moniker Garden. 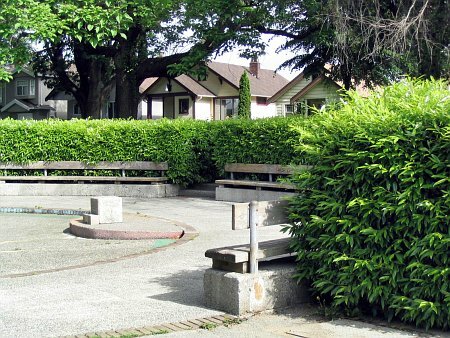 The name drives from one of the park’s bounding streets which was in turn named for James F. Garden, Vancouver Mayor from 1898-1900. Later in 1914 the park was cleared by relief labour to ready it for market gardens. Its use remained thus until the end of World War I when it was returned for recreational purposes.